Xbox Live's "Summer of Arcade" event is back, and this year's game lineup is a doozy. For the third year in a row, Microsoft has announced its "Summer of Arcade" event for Xbox Live Arcade, showcasing some major downloadable games that will help gamers beat the heat. The event is set to start in July and has what is arguably its biggest lineup of titles yet, including a new Castlevania game that is sure to have fans drooling. 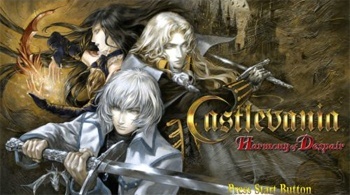 Konami's Castlevania: Harmony of Despair is a return to the 2D action/platforming/puzzle-solving Castlevania gameplay so many of us grew up with, but it will also include multiplayer support for up to six players. The game is reportedly going to feature some massive levels inspired by those seen in the titles like Dawn of Sorrow and Portrait of Ruin. No price for the game has been announced, though it probably is safe to assume that somewhere between 800-1200 Microsoft Points will be the going rate. Of course, Harmony of Despair isn't the only big-name title coming to XBLA in July. The promotion will also feature Lara Croft and the Guardian of Light, a new downloadable title from Crystal Dynamics that will sell for 1200 MS Points. The game is set to include multiplayer play and a "new (to the series) isometric perspective." Microsoft Game Studios, meanwhile, will be publishing Limbo, the eerie (yet apparently lovely) puzzle platformer developed by PlayDead Studios, also for 1200 points. The final two titles announced are Hydro Thunder Hurricane, a remake of the beloved boat-racing title from Midway Games and Monday Night Combat, "a third-person shooter that plays like a game show." Just about all of these games sound like great additions to one's Xbox Live Arcade library. Harmony of Despair is going to be on display at E3, so be sure to check out The Escapist's coverage of the show from the floor for updates.